This is my most ambitious project for the Raspberry Pi. 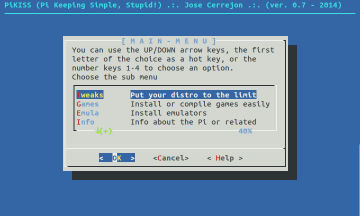 Install an application on Linux is not complex. Sometimes just type sudo apt-get install and get the application installed with all its dependencies. But... What if we need to install more than one such as a web server?, Is it not in the official repositories?, What if you want to get rid off input commands?. Please, an easy way to set my WIFI network!. PiKISS (Pi Keeping It Simple, Stupid!) 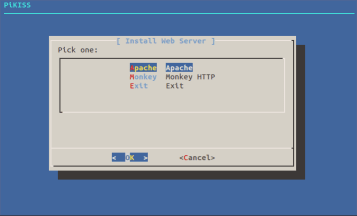 are Bash scripts for Raspbian (for now) which has a menu that will allow you to install some applications or configure files automatically as easy as possible. 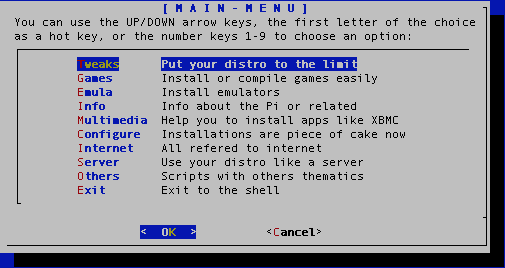 PiKISS (Pi Keeping It Simple, Stupid!) 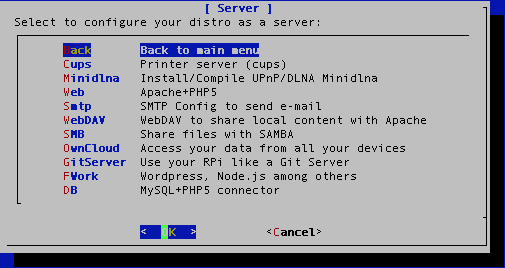 are shell Scripts (Bash) for Raspberry Pi 1 & 2 (Raspbian and derivates) and for ODROID-C1 (Ubuntu) soon, which has a menu that will allow you to install some applications or configure files automatically as easy as possible. The idea is offer facilities to manage your operating system, selecting an option in a menu and answer [Yes/No]. If you need check dependencies, install an app, modify a script at boot, add a line to a file or download other, PiKISS will do it for you. Forget about type and edit any command or file anymore! "It could have happened to me!" "What a silly! 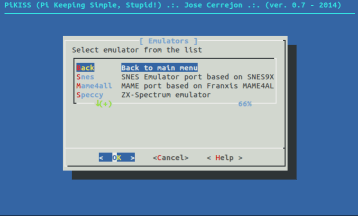 (I'll install it when I go home)"
"Now I don't need to fight with the terminal? Shut up and take my money!." - Easy, it's free. NOTE: ** 100% Free of viruses and Trojans. Not available in stores. The author of **PiKISS is not responsible if you get bored with your Raspberry Pi because everything is too easy. Online until I wish or Internet is destroyed. 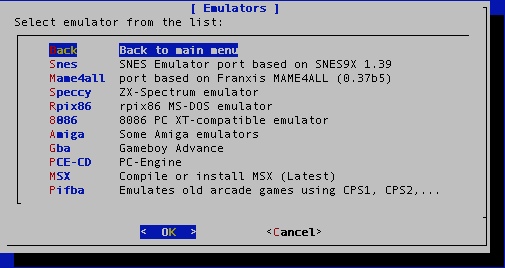 Now install emulators is very easy with PiKISS! PiKISS grow up according to users requests (ulysess@gmail.com) or I'll append scripts that I consider necessary, but I call to the community to share, improve and help to add new scripts to the existing one. If the project grow, is up to you. 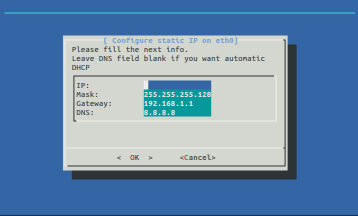 Don't you know how to configure your static IP?. Easy now! 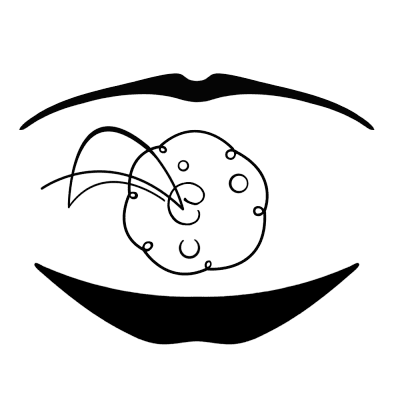 NOTE: If you want to know the scripts included on this project, please visit this link.